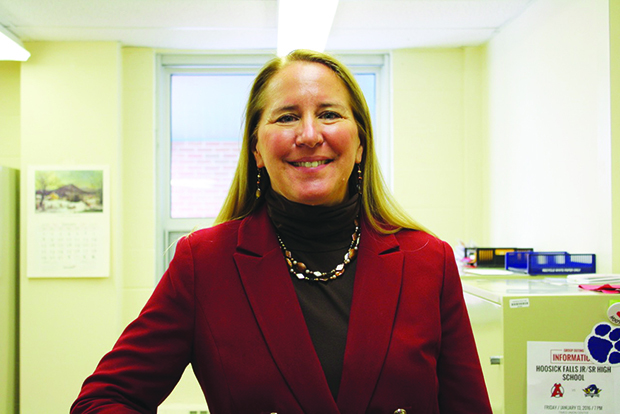 At the Hoosick Falls School Board Meeting January 18, Superintendent Ken Facin announced that this will be Pamela Hatfield’s last year as the Business Manager of the District. She will be retiring at the end of the year. Facin said Hatfield is working very closely with School District Treasurer Emily Sanders on this year’s budget in anticipation of having Sanders take over Hatfield’s position next year. 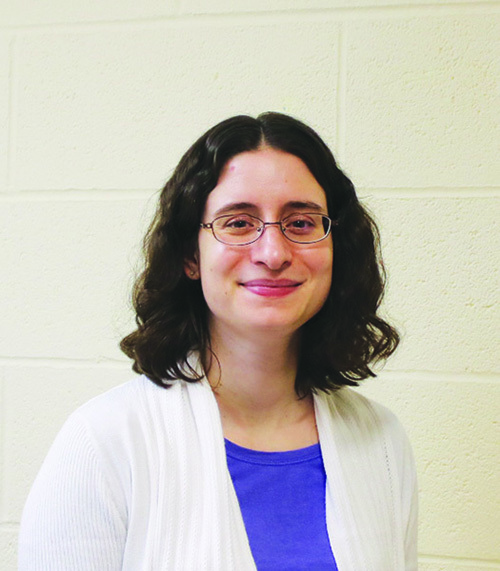 Sanders has been Treasurer of the Hoosick Falls School District for 5 years. She attended HFCS and was the Valedictorian of her class. The Governor’s budget proposal for the upcoming year was released a few days before the meeting. He announced an increase in education funding of $769 million, which is about a 3% increase. This is about half of what the increase was last year and a half to a third of what education advocates had called for. Cuomo said he had to be careful as this promises to be a difficult budget year and there are continuing uncertainties about federal funding in several areas that the State may need to react to. Facin said it looks like the increase in foundation aid to the Hoosick Falls District under the Governor’s proposal will be 1.9%, which is about 200,000 additional dollars. Board member John Helft remarked on the difference between the 3% statewide increase and the 1.9% mentioned by Facin. Facin said it’s complicated, and “we are still analyzing the Governor’s proposal.” Some of the increase in education funding is earmarked for specific new programs, or fund contingent aid such as bus purchase or capital project aid which the District only receives as reimbursement for its spending. Less than half of the new money, about $338 million, is for the basic foundation aid. Facin also said there is a problem with equitable distribution of foundation aid across the state. A new, more equitable formula created in response to the successful court case brought by the Campaign for Fiscal Equity some years ago has never been fully implemented. It was put on hold during the fiscal crisis of 2007-2008 and was not restored after the State recovered and the Gap Elimination reductions were ended. Facin went even further, saying that funding education by property tax is an “antiquated system” which ought to be reformed. He said he will be meeting with State Senator Kathy Marchione soon along with other School Superintendents, and he said at this meeting and in other ways, “I will continue to advocate for fair and equitable school funding.” He said his main point is not that the overall amount of State aid to education needs to be a lot higher, but that it needs to be distributed more equitably. Facin points out that the Hoosick Falls School District has 30 less employees than it did in 07-08, and that the average annual tax increase since he became Superintendent has been 1.67%. He said this District has taken seriously the need to do more with less over the past ten years or so, but other agencies in State government have not. (some of whom voted for and some against the Capital Project last October). Helft said the group decided, “We need to put the Capital Project out for another vote.” Helft said, “We did not do a good enough job letting people know how necessary the project is.” He said those on the committee who voted against the project changed their minds during the first meeting when they learned more about the project and its financing. The members of the Community Advisory Committee are listed on the District’s website, along with a number of informative documents concerning the Capital Project. The Committee is still open to adding more members, if others in the community would like to join it. Contact the District office if interested. In particular Helft said the District fell short in its outreach to the public on social media. He said the District was very active with sending out information through public meetings and a newsletter and the newspapers, but it could have reached many more people by putting the information out through social media. Since then a Facebook site has been set up and he reported that 1000 people have seen it. Another meeting of the Community Advisory Committee will be held this week. Facin said when a kid is having trouble learning and being successful in school because of social and emotional problems at home, “We address that – and it is working.” He said if the school can get these kids on the right track early in their school careers, it can make a huge difference in how their lives will go many years later. The Board approved unanimously a resolution to establish a trap shooting team at the High School. All members of the team must get a Hunter Education Certificate from the State of New York before participating to be sure they are well versed in the safe handling of guns. No firearms will be brought onto the School District’s campus. The guns are kept under lock and key at the shooting facility. The team will be using facilities of the Owlkill Rod & Gun Club (near Route 22 between Hoosick Falls and Cambridge) and the Troy Gun Club. The resolution requires the Superintendent to write up in the next 45 days regulations detailing the rules for operation of the team. Chris Marsh, who has been organizing the team and will serve as head coach, was at the meeting to answer questions. He said about 25 kids are involved so far and there may ultimately be as many as 50 students participating. He said he has been able to do enough fundraising for the team so that it will not cost the District anything. The Board accepted at this meeting a gift/donation of two rifles with an estimated value of $3,060 from the NRA Foundation for the use of the shooting team, and a gift/donation from the Brunswick Sportsman Club of $338.52 to support the team. Marsh said other sportsmen’s clubs have offered to make donations also, and he has not even been out asking for donations yet. Facin commended Chris Marsh for all the work he has put in to make this team a reality, and for the thorough and professional preparation he has done to prepare the way for the team to be established. • Pam Hatfield said 29 of the District’s school buses were recently inspected and 29 passed. She congratulated the District’s bus mechanic Harold Hoffman on this outstanding record. • Superintendent Ken Facin said he is happy that Eamonn DeGraff has stepped up to become the Head Softball Coach for HFCS. He said at the first home softball game this year the softball field will be dedicated to the late Charlie Weeden, the much-beloved former HFCS softball coach. • At the end of the meeting the Board went into Executive Session to discuss pending litigation and specific personnel. • The next regular meeting of the Hoosick Falls School Board will be on Thursday February 15 at 7 pm at the High School Library.